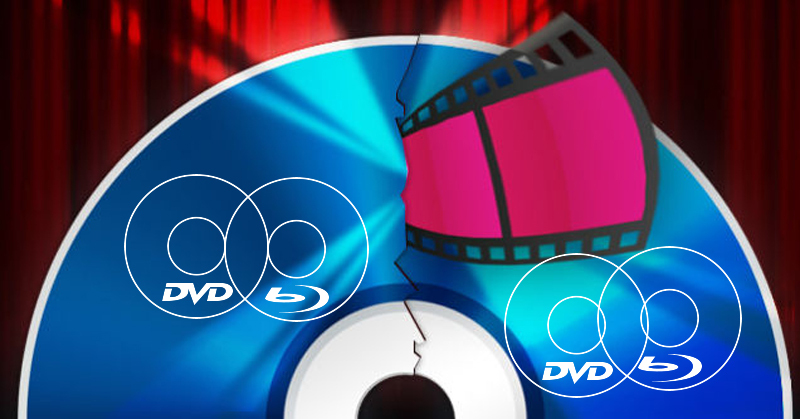 Today, Blu-ray is more popular than before, with amazing video and audio quality, more and more movies are burned onto Blu-ray discs and sold on the market (See how to burn a movie onto a Blu-ray disc). If you only got a DVD player, how can you copy the BD content to DVD disc to enjoy the Blu-ray movies on DVD player? This guide is about how to copy Blu-ray to DVD for playback in a DVD player. You will need a BD driver to read the Blu-ray disc, a DVD driver which can burn DVD disc, and a nice decent Blu-ray Copy program. We will get to the details later. Part 1: What are the differences? DVD-5 disc is a single-sided, single layered DVD that can hold around 4,700,000,000 bytes, also known as 4.37 GB. This is the most common DVD Media and is often called 4.7 GB Media. DVD5 is supported by DVD+R/DVD+RW and DVD-R/DVD-RW. DVD 9 disc is a single-sided, dual layered DV that can hold around 8,540,000,000 bytes, also known as 7.95 GB. It is also called DVD+R9, DVD+R DL or 8.5 GB Media. DVD9 is supported by DVD+R. However Blu-ray Disc, as the best video source output media, has won the competition immediately with its superior video quality and larger storage. 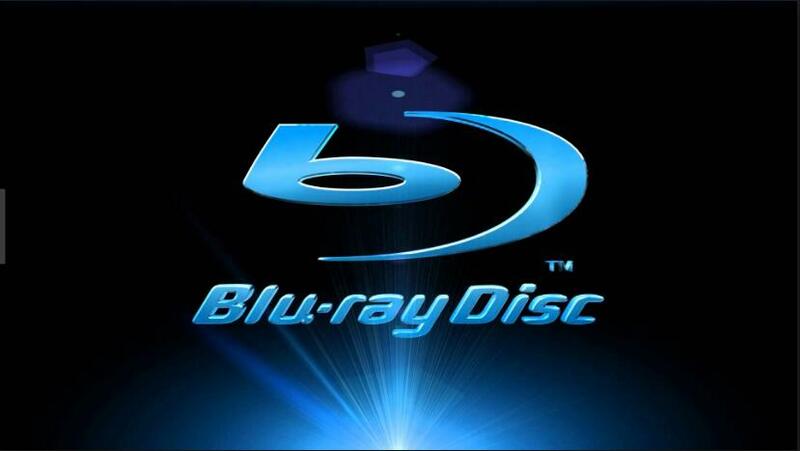 Blu-ray Disc has two most common types, BD25 and BD50. BD25 and 50 refer to the capacity of the disc, 25GB and 50GB respectively. These have nothing to do with the resolution of the movie you’re watching and see on your TV. Some longer movies or movies with a lot of action and movement require a BD50 because they take up more space (ala bit rates), but usually the majority of the second half of a BD50 is used for bonus features. The movies themselves usually clock in around 20-30GBs. 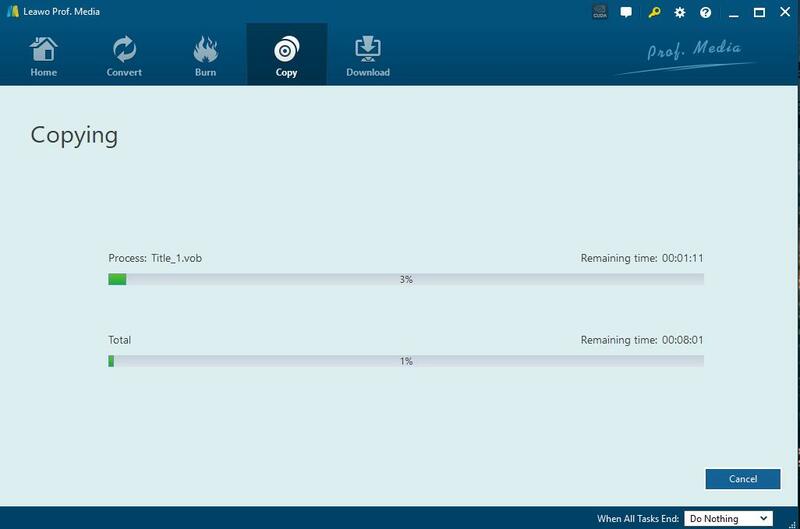 Leawo Blu-ray Copy is a highly rated Blu-ray copy software on the market and available for Windows and Mac users. 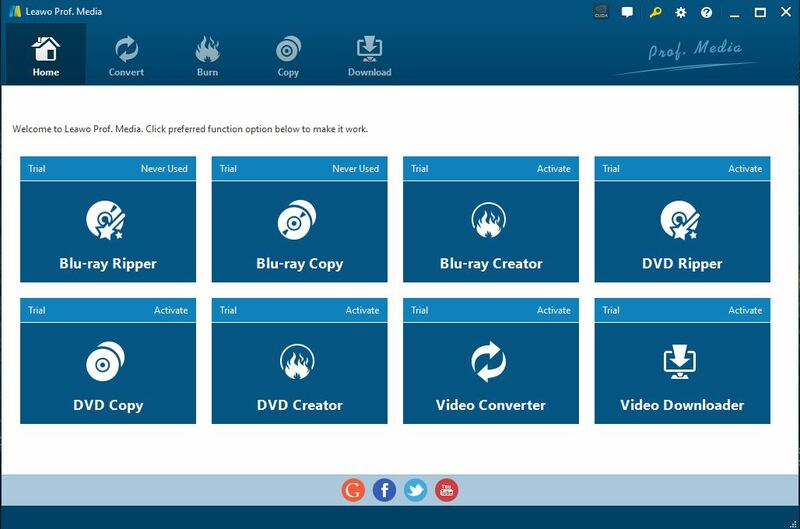 Leawo Blu-ray Copy comes with all features that we could expect from a “Pro” level Blu-ray copy software. Getting Blu-ray Decrypter, Blu-ray Copy and 3D Blu-ray Cloner into perfect combination, it could copy Blu-ray/DVD content from discs, folders and ISO Image files, make a perfect 1:1 disc copy of original Blu-ray/DVD disc; compress BD50 to BD25 and DVD-9 to DVD-5; burn Blu-ray/DVD folder and ISO Image file to disc, etc. As a smart Blu-ray Decrypter, it could decrypt Blu-ray disc protected by AACS or BD+ and the latest MKB, crack DVD with CSS protection, and get rid of region restrictions to make discs region-free. One amazing feature of Leawo Blu-ray Copy is that it could backup 3D Blu-ray with original vivid 3D effects retained. That’s a spotlight of this Blu-ray backup software and you rarely see in other similar products. Leawo Blu-ray Copy gives you more freedom to copy Blu-ray and DVD. Via desired copy mode selection, you can remove unwanted, annoying or unnecessary contents. Besides, you can choose preferred subtitles and audio tracks for output, customize disc label, etc. Besides, Leawo Blu-ray Copy really takes reasonable time to copy a Blu-ray and DVD. The stability of Leawo Blu-ray Copy is also excellent. Apart from shrinking Blu-ray to DVD. Can Leawo Blu-ray Copy shrink Blu-ray to BD 25? Absolutely yes. It offers you the best solution to copy Blu-ray to BD25 without quality losses (Click the link to learn more). The only difference is that when you confirm the final output format, you should select BD-25, not DVD5 or DVD9. During the copying process, the software will automatically shrink the Blu-ray to BD25 format. Here I’ll show you how to copy Blu-ray to DVD-9, taking Leawo Blu-ray Copy as an example. Download, install and launch Blu-ray to DVD9 software. Insert Blu-ray disc into the Blu-ray driver and insert writable blank disc into the DVD driver. Click “Add Blu-ray/DVD” button to import source Blu-ray disc or folder for backup. You can also drag the disc to the software quickly. As you can see, you are also allowed to import Blu-ray/DVD folder or Blu-ray/DVD ISO file. 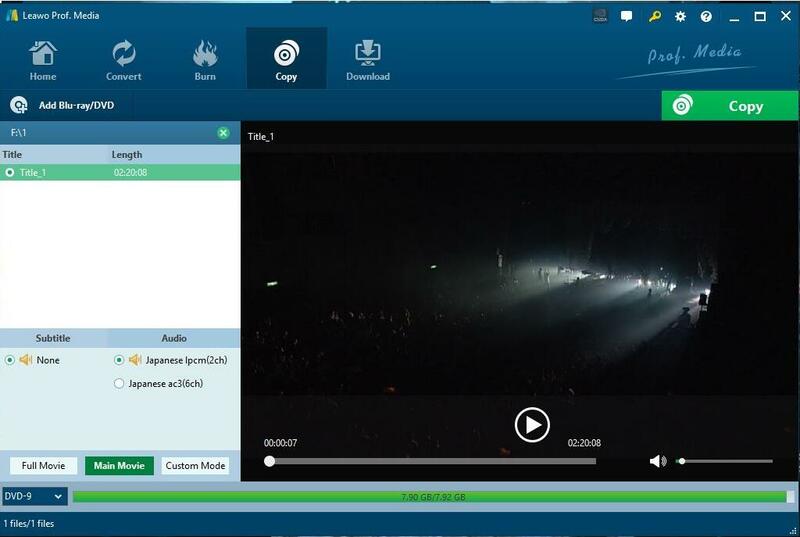 After loading, choose Disc type, Copy mode (Full Movie, Main Movie and Custom Mode are available), Subtitle and Audio Tracks at the bottom of this Blu-ray copy software. Usually Blu-ray movie contains many chapters we do not need. In the “Copy mode” box, I suggest to choose “Main Movie” option. This helps to filter short and invalid chapters automatically. Disc size for output files is also displayed bellow. Click the big green “Copy” button. Set “Copy to”, “Disc Label” and “Save to” options. Make sure you have enough hard drive space. Go back to the main interface, click “Copy” button to start copying Blu-ray. Wait for a while, and you can have your dream video files. Step 1: Input the original disc, go by the guide above but set “ISO file” as output. Step 2: take the original disc out of the drive, put target blank disc in. 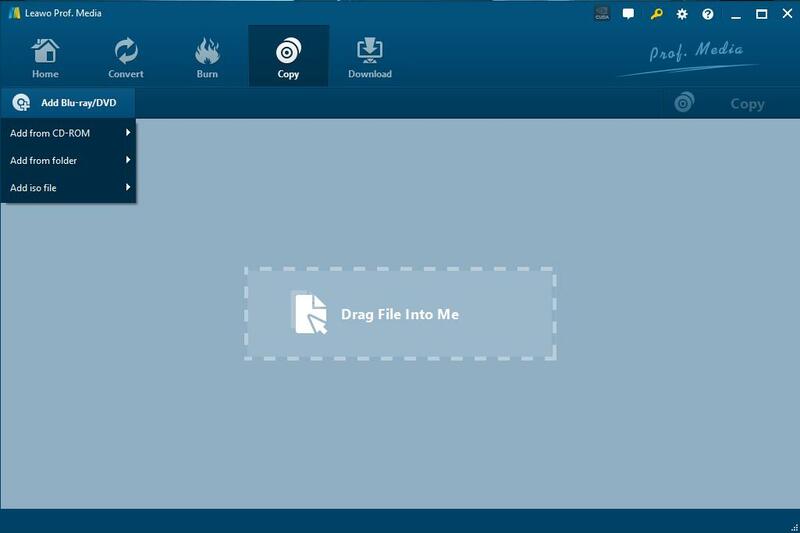 Step 3: Input the “ISO file” you just created, go by the guide and set the target disc as output. In conclusion, Leawo Blu-ray Copy is a reliable source for shrink Blu ray to DVD9 and one of the most efficient software programs on the internet to make a good quality for copying BD/DVD discs for watching. The best way to explore this program is to download it and give it a try.